Source: Complete Osiris' Lost Prophecies for Brother Vance on Mercury. Would it be terribly offensive if I said I would have happily traded places with you and gone down to the Hellmouth rather than be in the City during Osiris's banishment? Well, here's what you missed. It started because of his Lost Prophecies. A misnomer—the prophecies were always accessible to those who cared about them, but the Followers proclaimed them "lost" to a City that had censored all Osirian material. And even then the City didn't truly lose them, for when the Speaker ordered me to destroy Osiris's writings, I placed the documents in my private library instead. I don't believe in burning books, regardless of my opinion of the author. As to why he had to write the prophecies in iambic couplets? Simple: vanity. Possibly the best primary 180 hc. Has better range than trust! 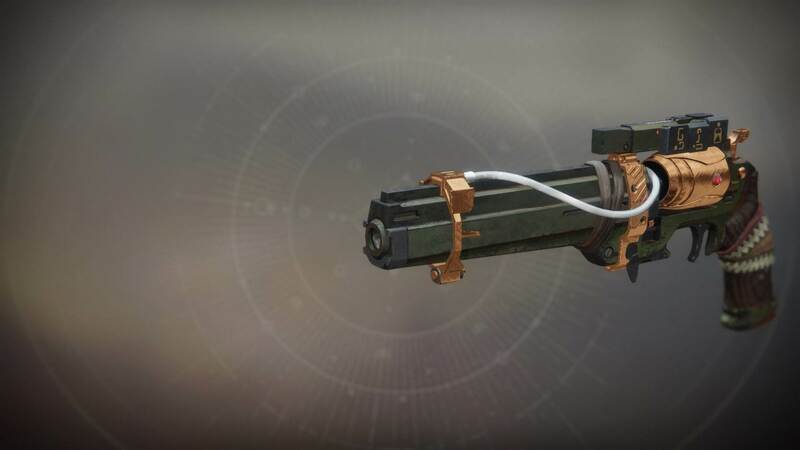 #1 most underappreciated gun in D2.